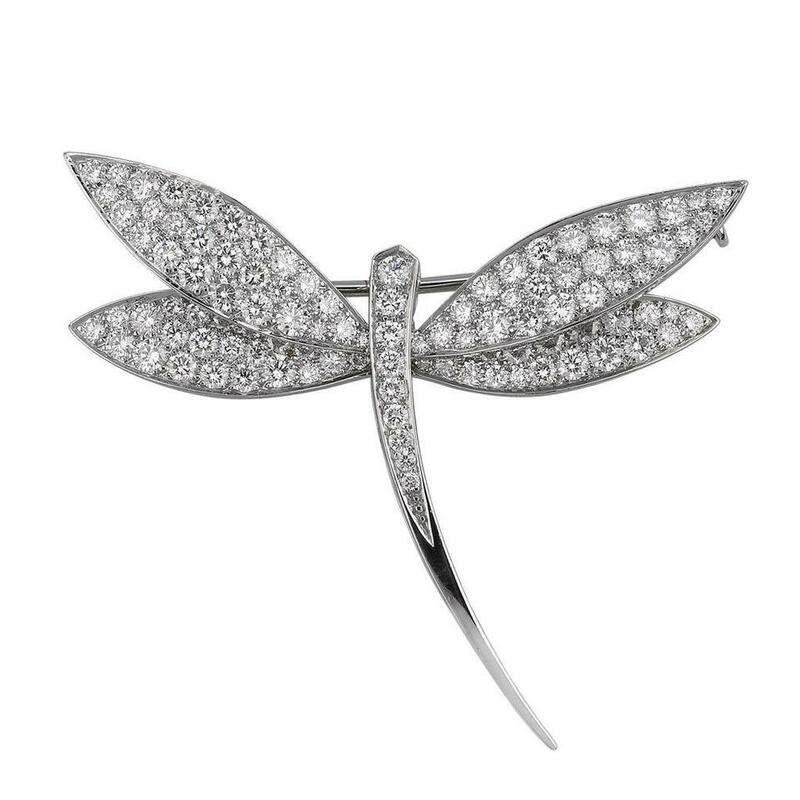 The dragonfly is one of Van Cleef & Arpels' classic inspirations, paying "tribute to the lightness and femininity of nature." 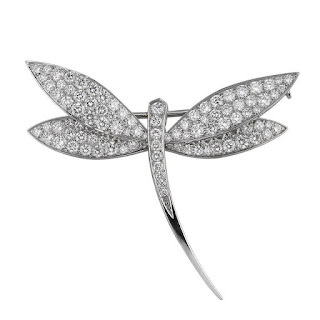 The Duchess of Cornwall has a pair of the jeweler's dragonfly "Libellule" clip brooches, one with all diamonds in 18 carat white gold, and the other with a diamond body and blue sapphire wings, again in white gold. A similar all-diamond clip for sale was listed with 2.55 total carats in pave-set diamonds. The brooches are also available with different colors of sapphires. The clips first appeared on The Duchess of Cornwall in public (to my knowledge) in July 2010, and they're often said to have been a gift from her husband. That's speculation, however, given the amount of Van Cleef & Arpels modern pieces in her collection, it does seem that Charles or Camilla or both are big fans of the famed maison. We certainly know Camilla to be a fan of insect brooches on the whole. Her collection contains multiple adornments depicting butterflies, dragonflies, other insects, and other animals as well. This is one area where her taste departs from The Queen's, as Her Majesty largely leaves these categories out of her brooch selections. The design is a light one, making them appear as though they are in flight. And as such, they have made a nice pair for formal events as well as some of The Duchess' more casual outfits. She wears them together, usually staggered on one side but occasionally split as lapel ornaments, and (as you might expect) often on a blue background.